Improvisor, director, teacher and coach. Currently in Chicago. Kevin was a member of Frank Booth, Inside Vladimir (the middle years), the IO Road Show, Ice Nine, Gigawatt and Arsenal. Kevin's most recent show is Improvised Black Mirror. Kevin directed many improv shows for Under The Gun Theater including: One Act Roulette, Based on a True Story, Clark Street Confessions, Dinner with the Clarks, Season Finale, This Film Is Not Yet Made, #Trending, Vampyre Hunter High, Dear James Franco, /Fiction, Haunted, & Phoney Business. 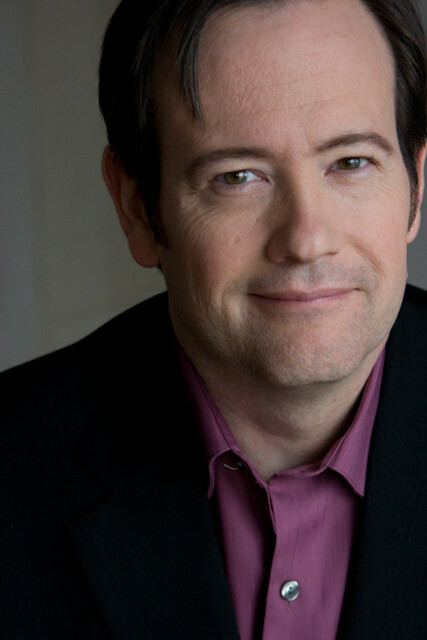 Since returning to Chicago, Kevin has performed in Joy Joy Tragedy and Mullaney Chain as well as many of the shows he directed at Under The Gun. Kevin performed in Frank Booth in the Blue Velvet Lounge, Harold on the Holyrood, The Armando Diaz Experience, Theatrical Movement and Hootenanny, Therapy, Möbius American Theatre and Tracers. He directed the IO Road Show, The Way We Never Were, Tracers, Retraced, Individually Wrapped, The Swarm in Slow Waltz Around Rage Mountain, the Naked Babies in F*ck the Machine and was the assistant director for Naked. He created the Cage-Match, which has had long runs in Chicago, New York and several other cities in the US and Canada, and also the Annual 3 on 3 Improv Tournament at UCBT. He performed with Sonic Doom at Gorilla Tango Theatre and on Cop Squad an incubator team at The Playground Theater. Kevin appeared in Separation of State and Division, a sketch revue at Second City DeMaat Theatre directed by Angie McMahon. The Clergyman in WildClaw's production of The Life of Death, October-November, 2012. Kevin first taught Improv at ImprovOlympic in Chicago (1997-1999) and then moved to New York to teach at the UCB Theatre (1999-2006) where he also served as the Artistic Director (2001-2003) and the Class Administrator (2003-2005). In addition to teaching at iO and UCB, Kevin has taught workshops for Philly Improv Theater, Washington Improv Theater, Second City, The Improv Shop in St. Louis, Project Improv in Louisville, the National College Comedy Festival at Skidmore College, the laugh/RIOT Columbia Improv Festival, the New England College Improv Jam at UMass Amherst, and Trinity College. He has also coached improv teams from Bradley University and Illinois State University. Kevin Mullaney's contributions to the UCB Theater's development can not be underestimated. He was an early mentor to many of the theater's top improvisers for many years, starting with a workshop he taught while visiting New York before his eventual move to the city. Furthermore, Kevin has never worked a job at the UCB Theater that wasn't divided up into multiple positions when he left it. He often worked so hard that those who cared about him worried that he was pushing himself past the brink of sanity. Kevin was the Artistic Director of the Chicago Improv Festival from 2013-2015 and one of the Co-Artistic Directors in 2012. Kevin created the Improv Resource Center website, as well as this wiki you are reading right now. He founded a long run of weekly poker games. As noted above, he created Cage-Match. He wrote the first draft of the curriculum for the UCBT classes. This page was last modified on 30 November 2017, at 12:03. This page has been accessed 40,790 times.